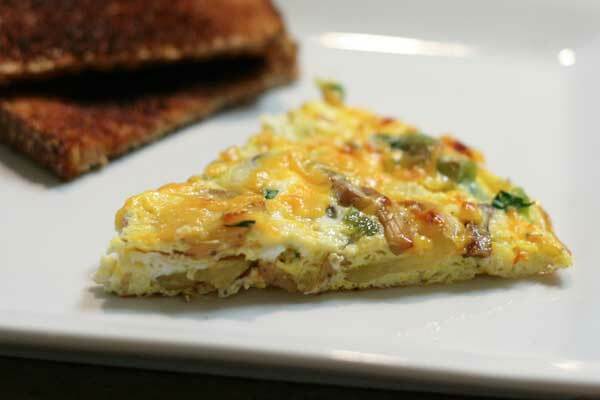 Frittatas are excellent for breakfast, lunch, and dinner. - Put skillet back on burner set to medium, cook for 4-5 minutes until eggs set on bottom and begin to set on top. - Put skillet in broiler and broil for around 3 minutes or until lightly browned on top. Cut pizza/pie style in six pieces and serve immediately.